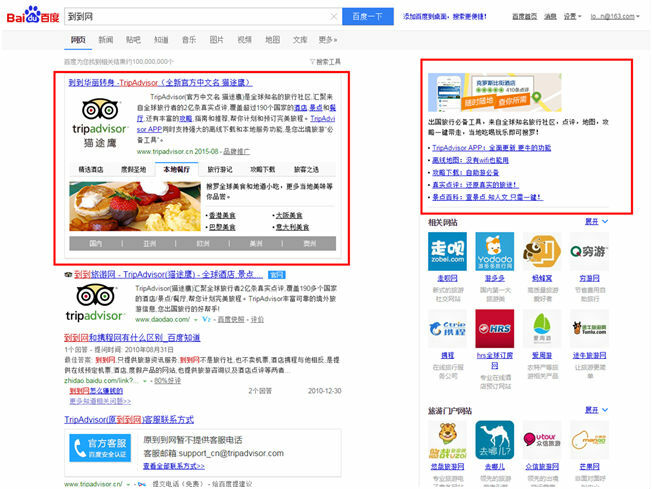 For years, Baidu has been perceived as the main channel for paid search in China because of its dominating position in the Chinese online market; however, do we, overseas advertisers, really know how to advertise on Baidu? 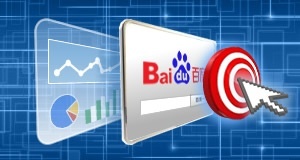 Baidu is a very well established platform to use, there are many functions available beyond just traditional paid search ads. Brand Zone is one product, which works well for known brands, aiming to protect the brand image and pass on the brand value to other parts of business. Typically, brand campaigns convert much better than other campaigns in most global markets; however, this is particularly high in China, with sometimes over 90% of conversions generated through brand terms. Brand trust is especially important in China, more than other factors such as price, as consumers trust well-known brands and feel confident they will get a genuine, quality product. Thus, it is not only important but vital to protect the hard earned brand traffic. What is Baidu Brand Zone? 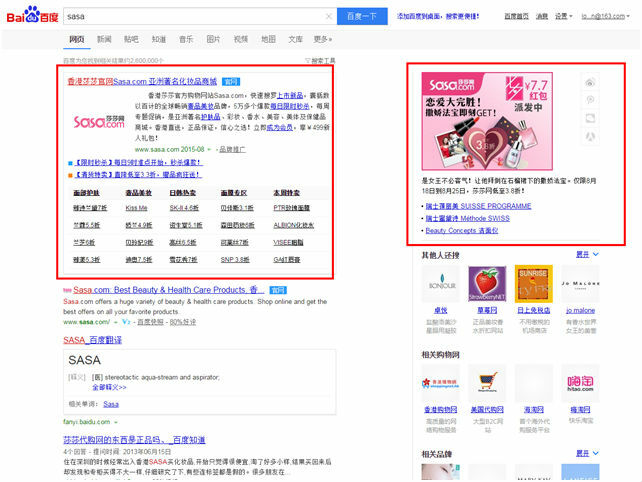 Baidu Brand Zone is a brand search product, which works on a cost per time model and allows advertisers to purchase brand or product (trademark) related terms and own the SERPs for those terms. It is very similar to the Yandex media contextual banner (MCB) product but with a different focus on the keywords and with a greater range of information displayed. The ads are triggered by keywords, and take over the top section of the search page. 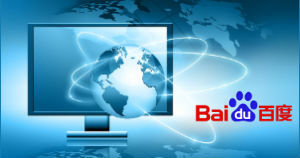 Generally, advertisers will buy Baidu Brand Zone on a monthly basis. 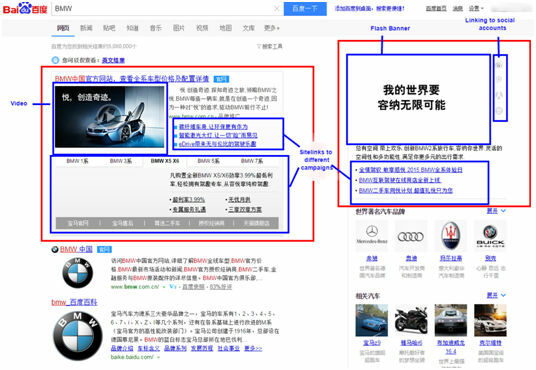 Below is an example of BMW Brand Zone ads, dominating the search result page on both left and right sides above standard search ads. The Brand Zone listing includes site links, rich media banners, videos and links to social media accounts. Offering different media and different options means the brand is likely to meet the needs of a range of users and prevent traffic loss. 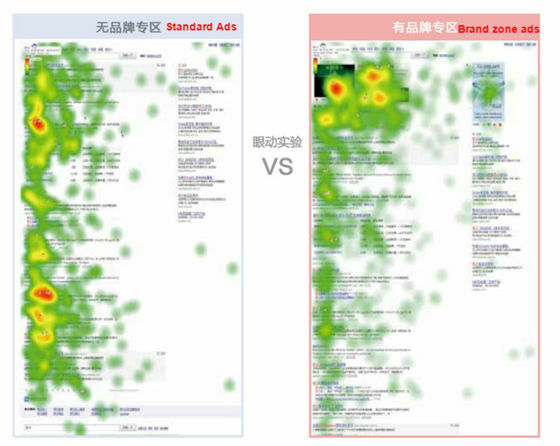 The heat map below demonstrates which parts on the search pages receive clicks. When there is no Brand Zone used, the attention is spread to the whole page and users will normally scroll down to search for the information. When Brand Zone is used most of clicks are generated within the Brand Zone ad block, because the ad block contains a wealth of information in one place, users would not need to look elsewhere to find information. It is obvious that Brand Zone ads can drive more attention and awareness for brand, but the click-through rate (CTR) is high as well. On average, the CTR on standard paid search for brand terms is between 5-20%, but the Brand Zone ads can achieve a CTR of between 50-90%, because of the trusted brand value and the variety of options offered in the ads. If your brand has some recognition in China, it is time to consider this advanced feature to get the most of your brand name. 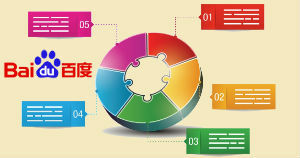 It is not only for the big brands but business at different scales, we have seen big international players such as TripAdvisor and Gucci using Brand Zone product, but the product is also used by smaller brands, such as Sasa.com (A Hong Kong based cosmetic e-commerce website ) and Meizu (a Chinese mobile phone brand). There are two levels of Brand Zone services designed to suit businesses of different sizes. The mini version can cover up to five regions (provinces) and 20 keywords; the standard version will cover all IPs (both China and overseas traffic) and up to 100 keywords. The cost is calculated based on the search volume per month, and generally varies from around £2,000 ($3000) to £8,000 ($12,500), depending on the search volume. 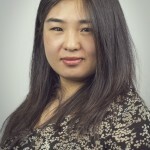 Are you ready to reap the harvest from your brand name in China?